This month’s focus will be eating more plant-based, whole foods. Lots of fruits, vegetables, nuts, unrefined whole grain foods, seeds, plant-based meat substitutes, etc. 2) Tuesday thru Sunday – Eat one completely Plant Based, healthy meal each day – Breakfast, Lunch or Dinner. Resources and Recipes: We will post resources and recipes here and on our social media channels all month to help you stay on track. Below, you find printable lists of breakfast, lunch and dinner ideas to jumpstart your search for plant-based recipes. Want to join us? Are you in? Leave us a comment below and let us know. The fun starts on Tuesday, August 1st! The meal idea lists for Week 1-3 are available now, along with a list of free meal plans, books and other resources to get you started (scroll down). Note: You don’t have to eat the recipes on the meal ideas lists! They are just provided to get your started. Our DietBet particpants have lost 20,503 pounds and split $111,765 worth of bets. Lose %4 of your weight and split the pot… like an office weight loss pool. Get the full details today! Check out our free 4 week vegetarian meal plan for recipes and a shopping list. I will take the August challenge. I’m trusting God for a miracle. Thank you for the opportunity to prove to myself that I can do it. Through Christ I can do anything! I’m definitely joining. Need to lose at least 30Kilograms. I am in for the month of august i’m very excited to see results and put myself up for the challenge. I am up for the challenge in August. I am in for August challenge! I am in for the August challenge!! I’m in system needs a break! I accept the August Challenge!! I’m in for the August challenge. I’ve been eating plant based for the last couple of weeks and this challenge will be great to help me continue. I’m in for the August Challenge! I’m going meatless in August!!! I’m in for August Challenge and I’m excited!! I’m in for the August challenge. Am in… all the way. I am in. I have always wanted to try a plant based diet. I am restarting my weight loss journey and health lifestyle Gia. Wishing everyone luck!!! I’m in! Started today, 7/31 since it’s Monday! I’m up for the challenge!!! Excited to join this challenge!! 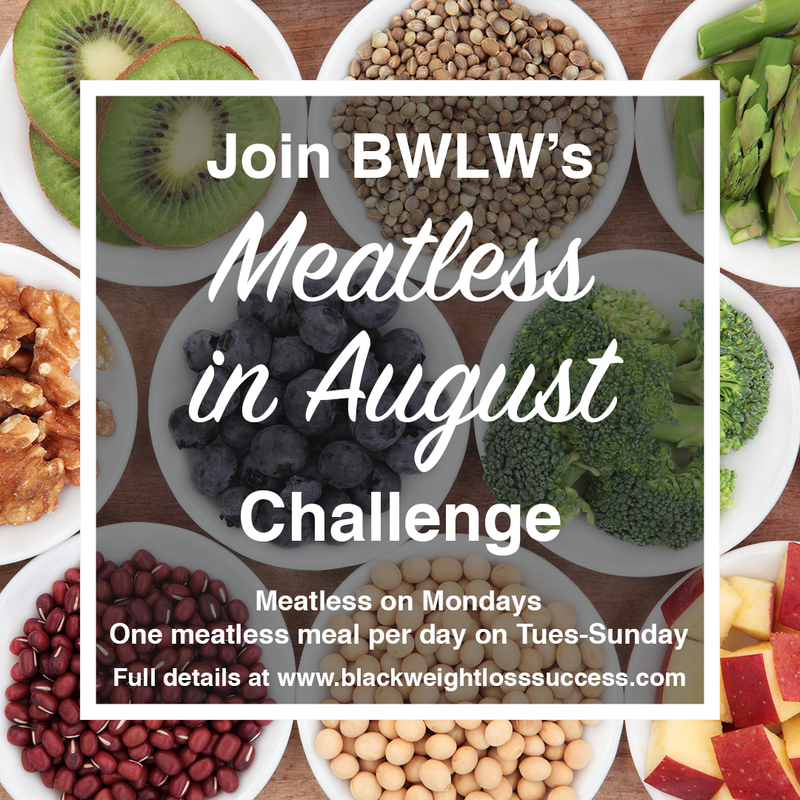 I’m in for the meatless challenge for August. Actually teaming up with some ladies and we are going fully raw for the month.. Good luck every one. This is great! I actually have been meatless for a week now after watching “What the Health” on Netflix do this is timely. I made an awesome vegan soup for dinner last night that was delicious. I’m in. Started Monday, July 31st. I feel so much better already!